For me, living in Asheville is just about as good as it gets. Our family has deep roots in western North Carolina – we’ve lived here for eight generations, and this area is truly home for us. We have been in Asheville for 14 years now, and we’ve gotten to know the city pretty well. We love it here, and we’d thought we’d take some time to share everything we find great about it. Asheville is pretty well-known, and pretty distinctive. People typically don’t just “end up” here – they choose to come here because something about this place draws them in. Which means that most people who are here really want to be here – which means that most of them are happy. So you end up with this great community of people who enjoy life, and share a love for everything Asheville has to offer. People come from literally everywhere to live in Asheville, so there is a lot of diversity here. There are so many opportunities to meet new people, learn about different cultures, and hear new perspectives. Asheville also tends to attract a lot of forward thinkers and innovators, so you always feel challenged and inspired. And yet, there is still a very real sense of Southern hospitality, which makes it a warm and welcoming place. It’s a really great balance of tradition and innovation. Asheville attracts just about every type of creative person, from artisans, to painters, to stoneworkers, to musicians. Whether you’re sampling hand-crafted cheese at an artisanal shop, or stopping to hear fantastic musicians busking on a street corner, or admiring an amazing work of graffiti art, you can’t help but get swept up in the creative energy that seems to be everywhere, all at once. There just isn’t a better place to spend an evening out. 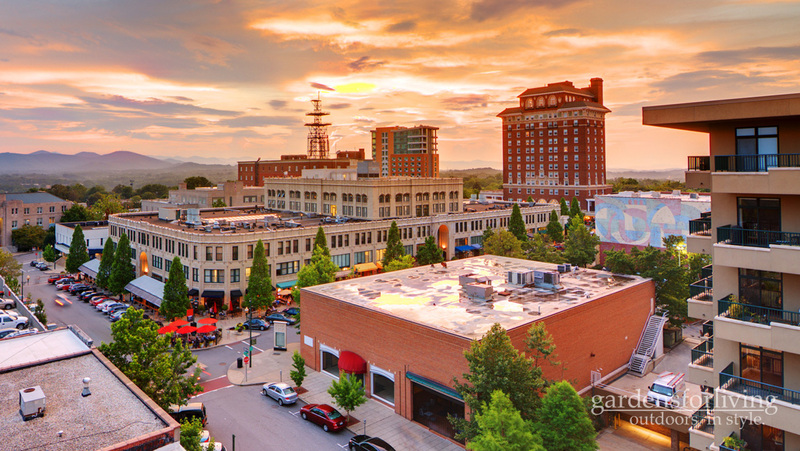 Asheville has become a paradise for foodies, music lovers and art enthusiasts. There are so many great spots to visit – you could go out every night for a month and still just scratch the surface. I personally have a lot of favorite haunts. You can’t beat Lucky Otter for Mexican, Vinnies for Italian food or Standard Pizza for incredible pizza. There are great breweries, too – my favorites are Wicked Weed and Sierra Nevada. Restaurants like Limones, Chestnut and the Bull and Beggar are great places to unwind with a cocktail and a great bite to eat. You can also get a glass of wine from a local wine shop – my favorite is Appalachian Vintner. All that said, my favorite way to spend an afternoon or evening in Asheville is to catch an independent film at the fine arts theatre. To us, Asheville isn’t just a place we happen to live and work. It’s a place we love, that suits us in every way. We are happy to help Asheville residents enjoy their lives here, by creating outdoor living spaces that capitalize on what’s best about the area. And we are happy to keep learning, and growing, and challenging ourselves in this uniquely inspiring city.